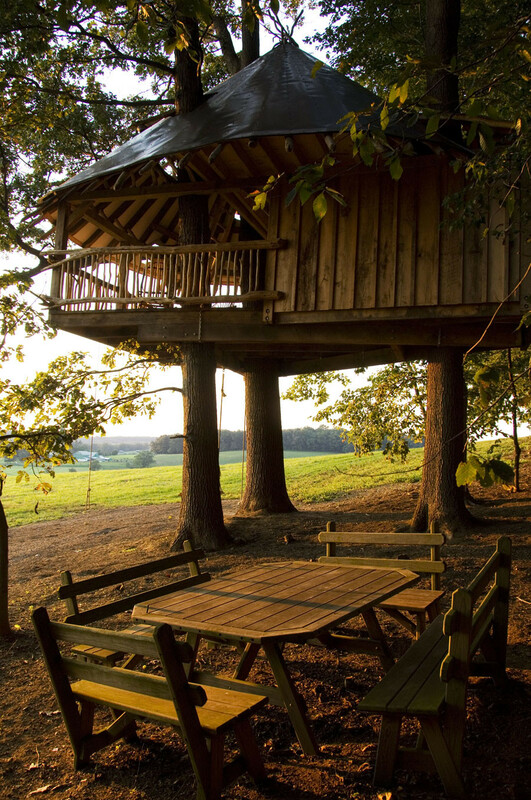 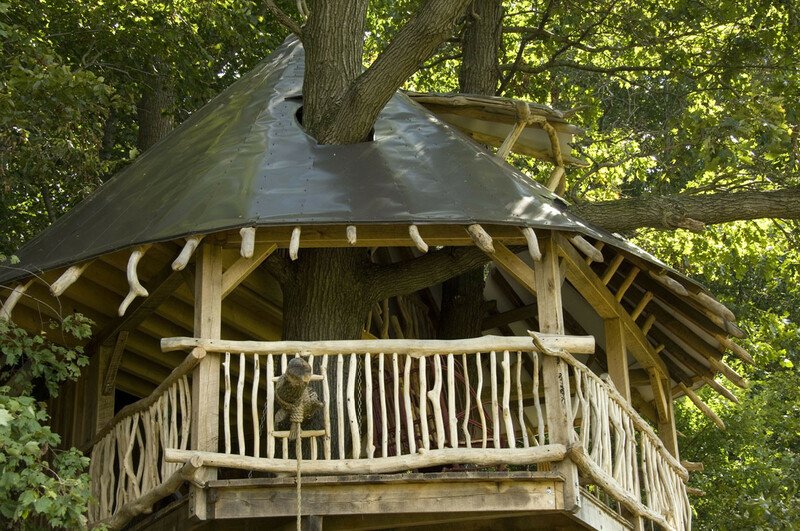 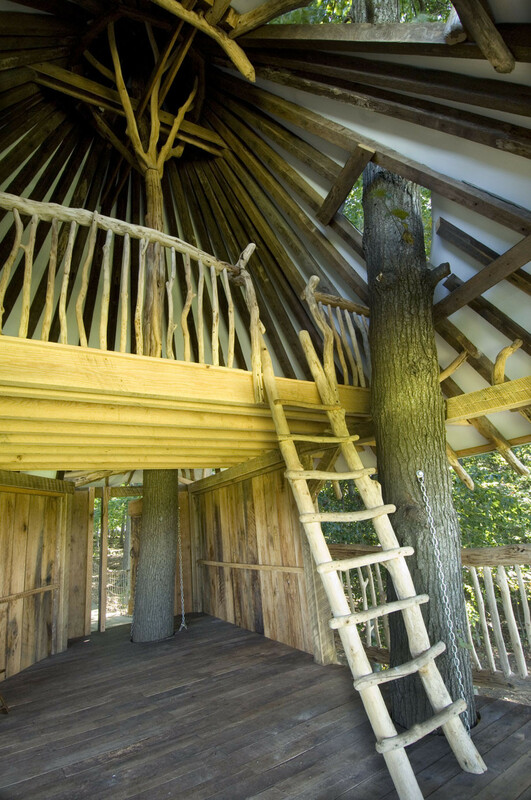 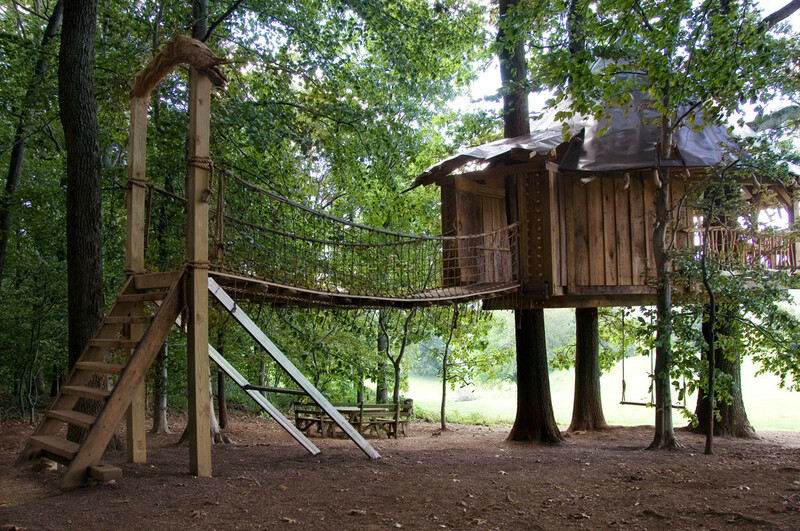 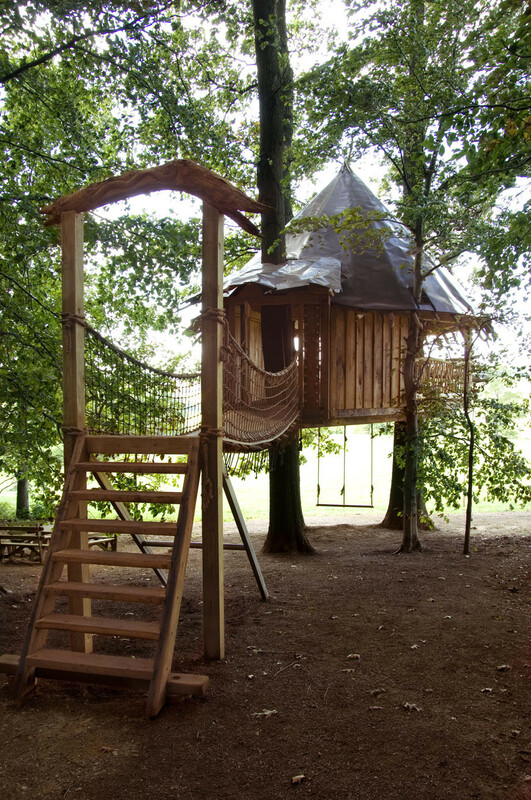 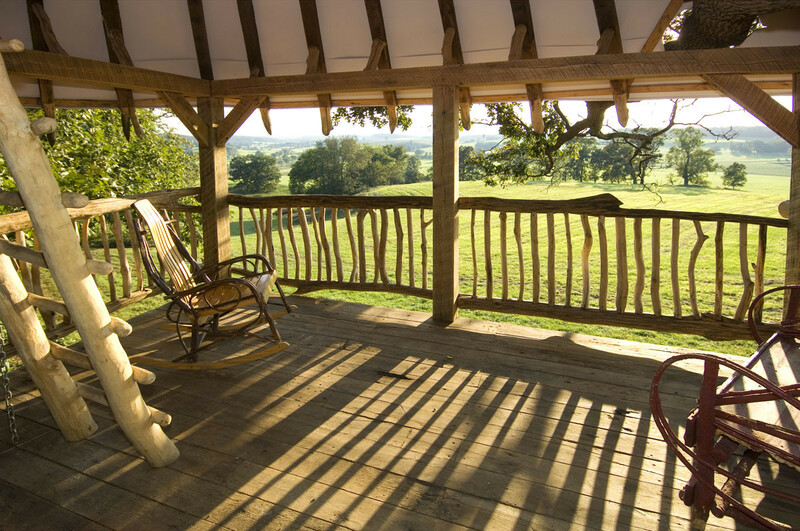 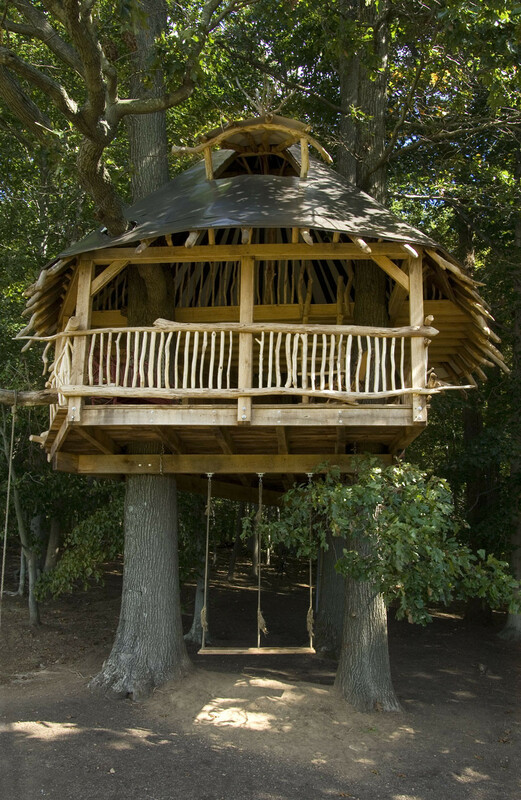 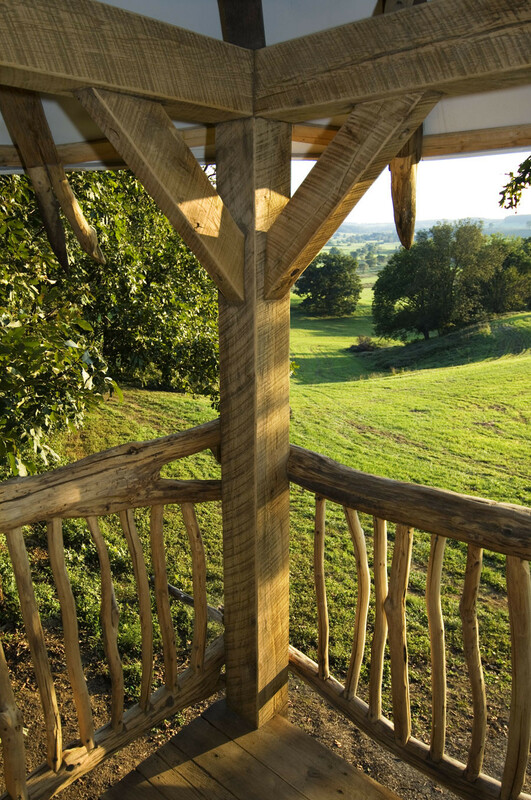 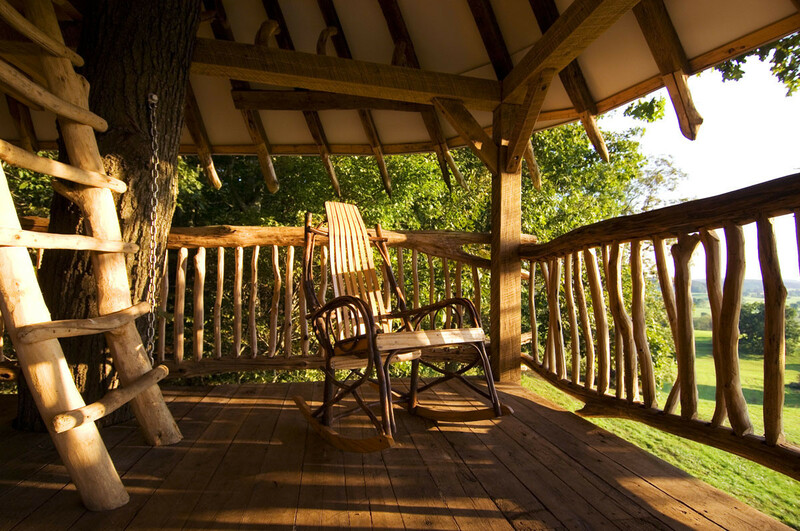 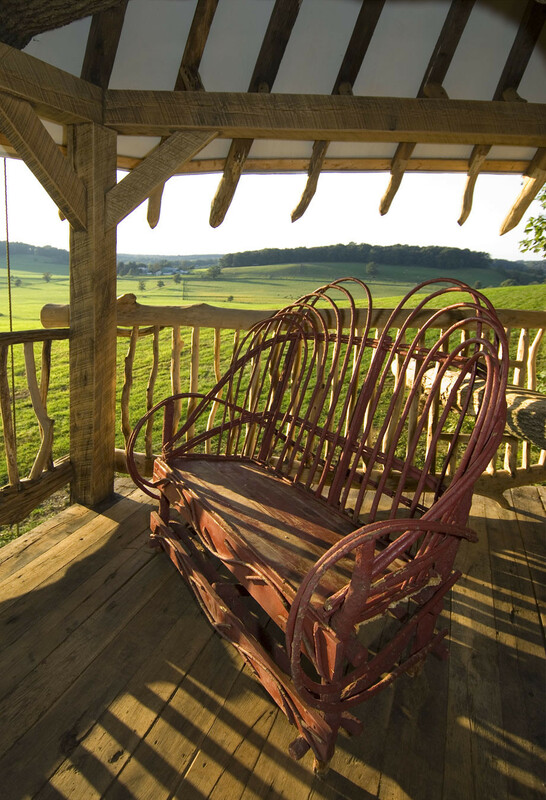 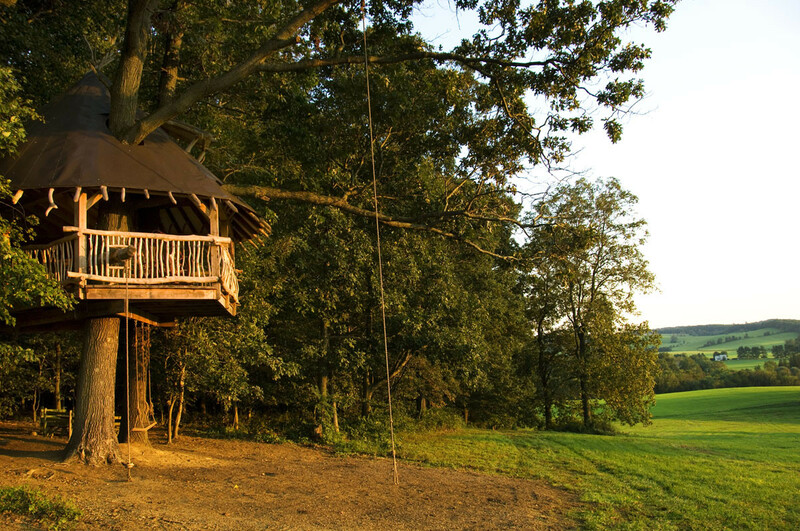 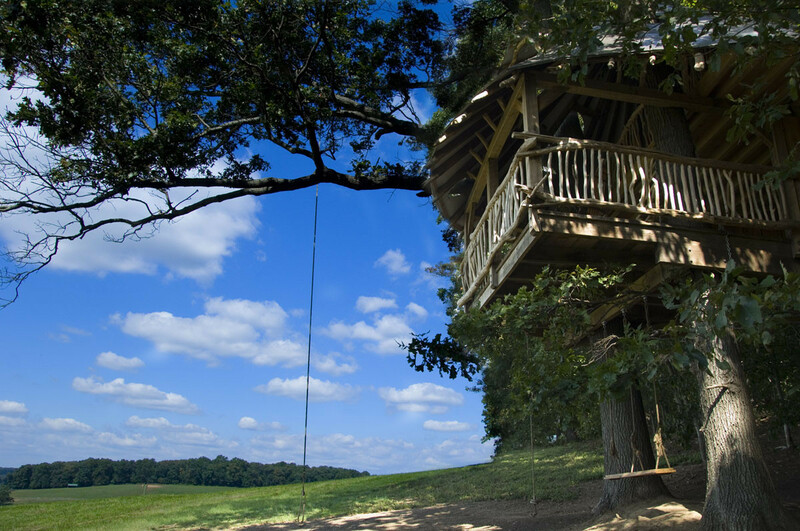 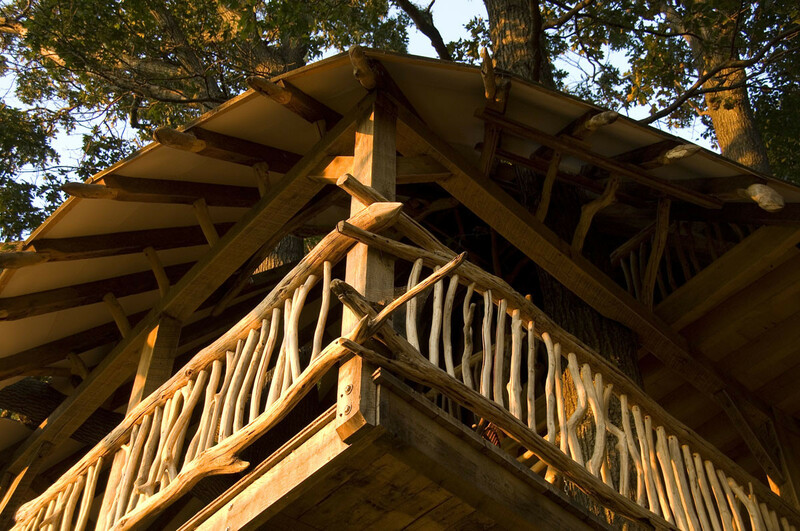 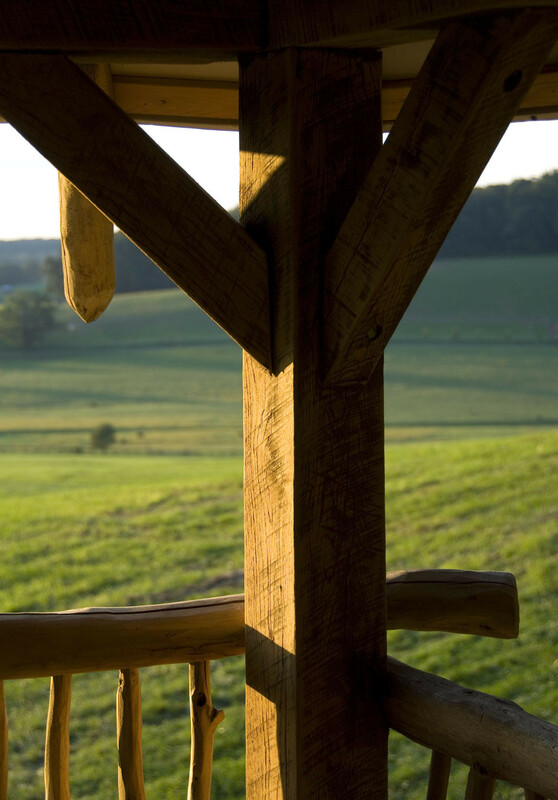 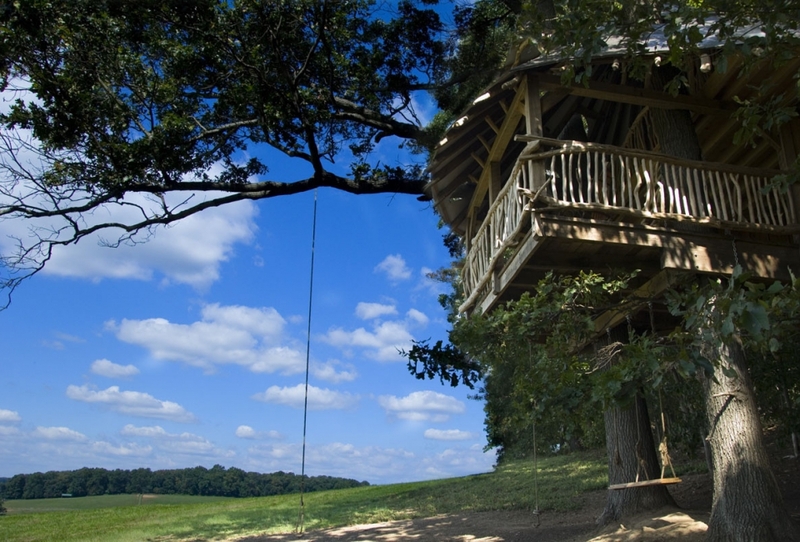 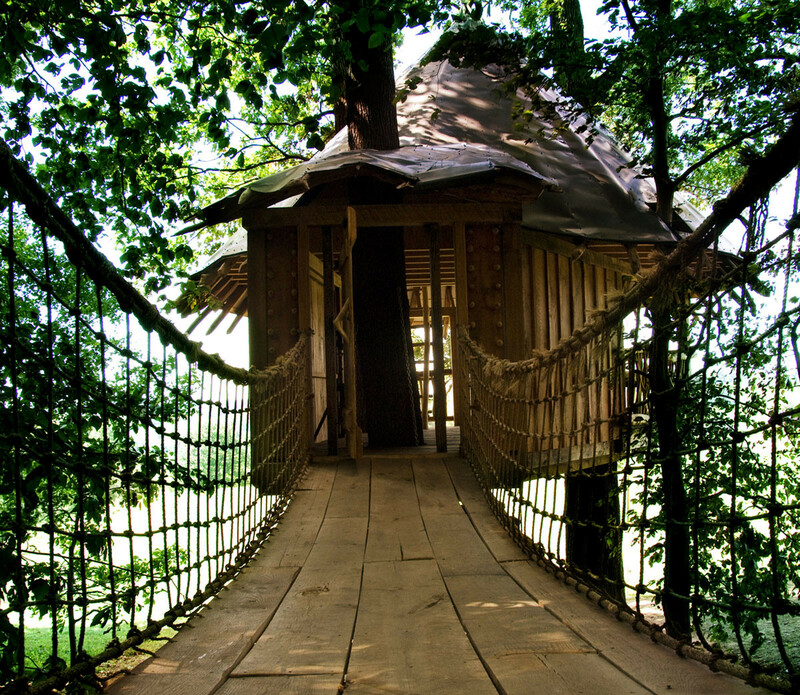 A favorite spot for both kids and adults to play – and a favorite HLTF project – this custom treehouse in the countryside of Chester County, Pa., boasts 8×8 oak timbers attached by lag and through bolts, which will not affect tree growth or harm the trees’ structural integrity. 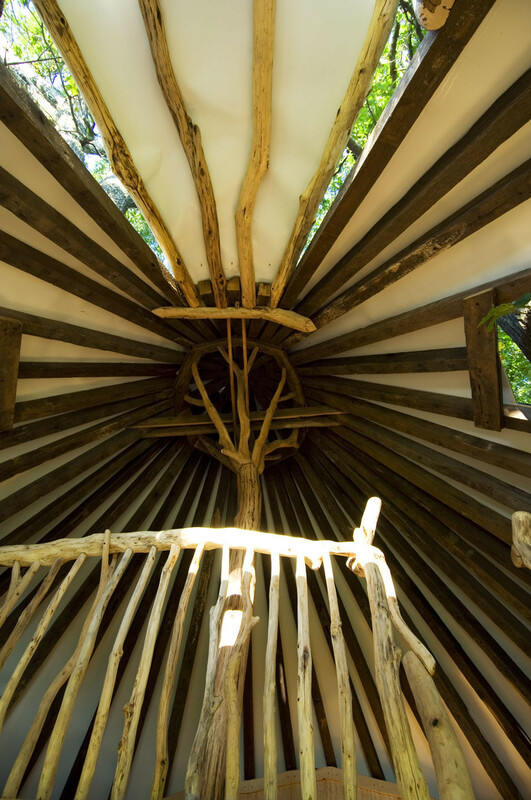 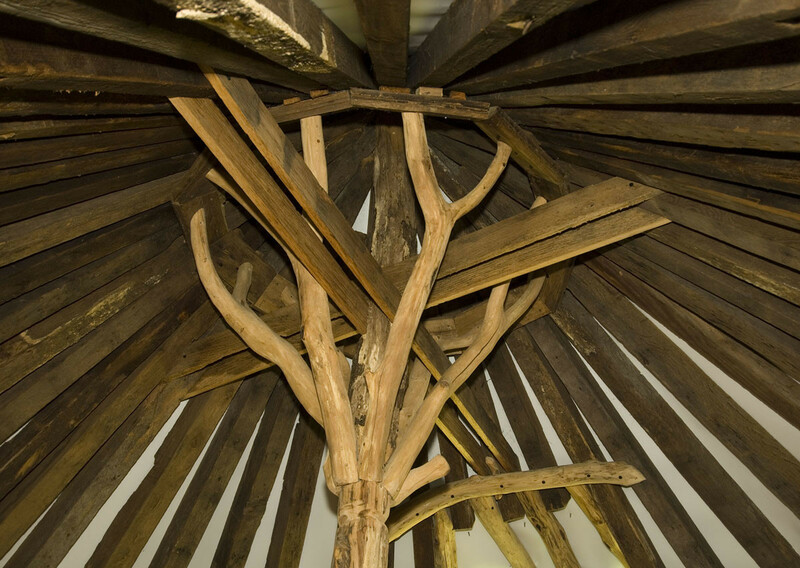 The timbers form a near-circular “foundation” platform spanning three trees at the center of the house. 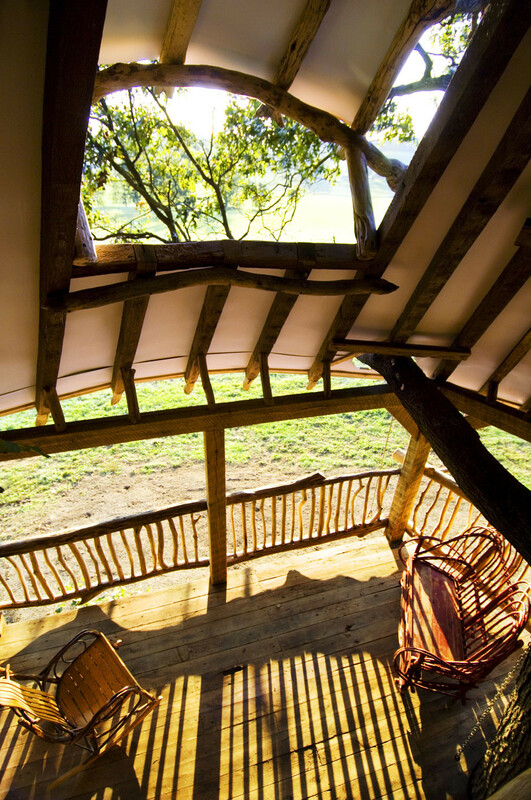 A sleeping loft and rooftop dormer offer stunning views. 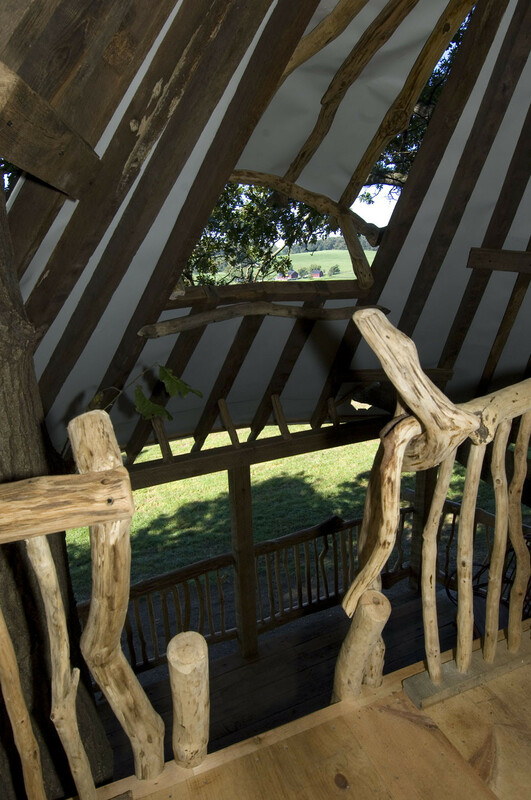 Much of the wood for the handrails and balusters was collected from the property and hand-crafted on site. 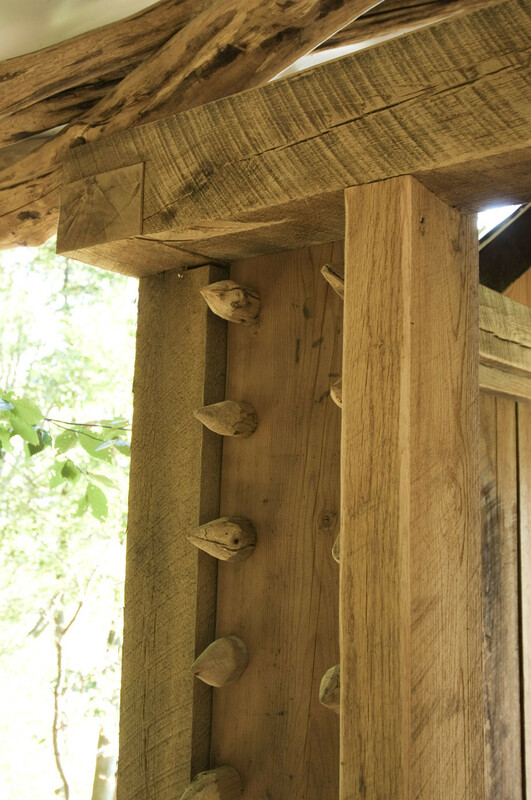 The remaining oak was sourced locally.